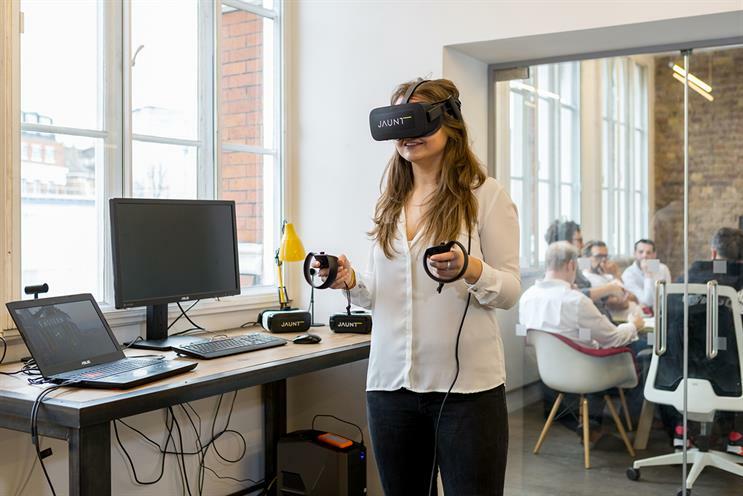 Cinematic virtual reality specialist Jaunt has moved its European headquarters to its newly-launched office in London. With the launch, Jaunt's existing premises in Amsterdam will focus on engineering and development. Located in Farringdon, the office staff of around ten people will be led by Dominic Collins, general manager, EMEA, for Jaunt. Backed by Walt Disney, China Media Capital and Evolution Media, Jaunt is the creator of an app that distributes cinematic VR content and also a 360-degree cameras designed for filming in VR. This expansion demonstrates Jaunt’s commitment to the UK and to Europe, said George Kliavkoff, president and chief executive of Jaunt. "For some, the thought of opening an office in London in the wake of Brexit may appear like an interesting choice," said Kliavkoff. "However, we’re seeing a raft of new partnerships opening up, and an ever-increasing appetite for immersive content." Jaunt has recently worked in the UK with Manchester City FC, The Royal Opera House and Paul McCartney. Its most recent collaboration with Manchester City FC saw a 360-degree VR experience, with the aim of bringing the excitement of the team's stadium on match day to fans across the world. Other European clients to date include Unilever and Virgin Media.